If you have been successful in your growing efforts this year, you may have a wealth of peppers, both sweet and hot, ripening in your polytunnel. You can regularly harvest and use these peppers and chillis as and when you need them throughout the harvesting period, either when they are green, or when they have matured to their final colours. But you may find that you do not want to use all your harvest in one go. And if you don’t you will be left with the question of how to preserve your pepper harvest for later use. Drying peppers is one great way to preserve their heat and/or flavours to enjoy over the winter months to come. Why is Drying Peppers a Good Idea? When preserving peppers, there are certain characteristics that you will want to preserve. Some preservation methods will not allow you to retain all of these characteristics. When choosing a preservation method you will want to consider the nutritional content of your peppers and chillies as well as their taste. Drying peppers allows you to retain much of the nutritional content of the fruits without losing their delicious flavours. While dried peppers will not taste the same as fresh ones, they can still be used to add flavour and heat to a range of different dishes. Peppers and chillies can be dried most simply and easily by allowing them to air dry in your polytunnel. Or somewhere indoors in a sunny, warm spot. Wherever you choose to string up or lay your peppers or chillies to dry, you should make sure the area has low humidity and good ventilation. It is best to cut larger peppers lengthways to speed up the process and allow them to dry out thoroughly inside. A temperature of around 25 degrees is ideal for drying chillies. Any hotter and the chillies can become brittle, while any lower and the chillies or other peppers may rot or become mouldy before they get a chance to dry effectively. 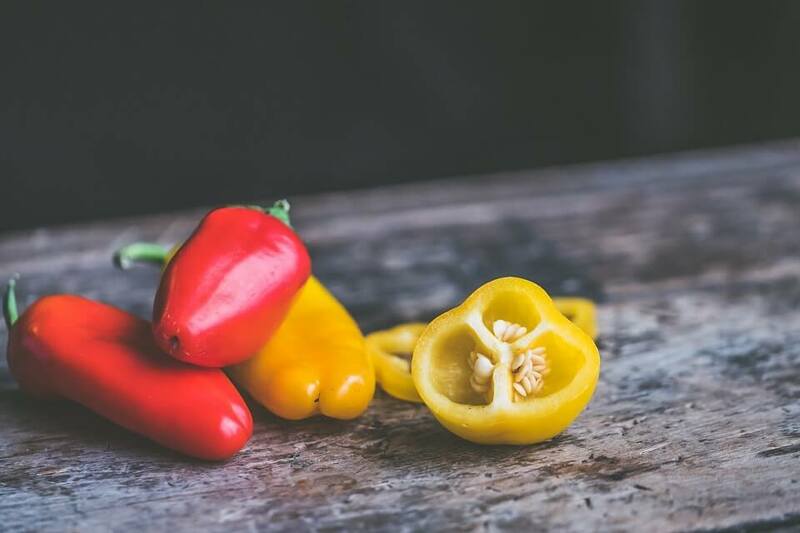 If you feel that it may be a struggle to maintain this sort of temperature for the drying process where you live, you may find it easier to use a different method for drying peppers or chillies. You may like to consider investing in a dehydrator. A dehydrator speeds up the process of air drying, though it will of course use energy in the process. Another way is to use your oven to speed up the process. The time it will take to oven dry chillies or peppers will, of course, depend on the type and size of the chillies or peppers in question. Put the oven on a low temperature and place whole or sliced peppers on a tray. Most chillies will need to be in the oven for a long time to dry effectively – usually at least 6 hours and often longer. Once dried, keep out of direct sunlight and away from moisture and use as needed. Dried chillies will be stronger than fresh ones, so use sparingly in your winter recipes. How have you fared when drying peppers and chillis for winter use? Let us know in the comments below.